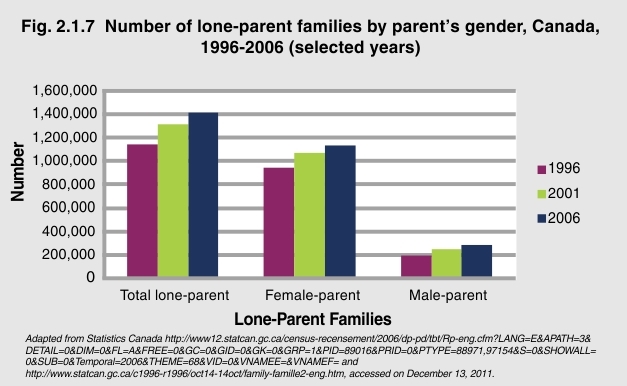 The number of lone-parent families in Canada has been increasing steadily for the last many decades. In 2006, there were four times more female-led lone-parent families than male-led families. In that year, over 1.1 million lone-parent families were led by mothers compared to 282,000 families led by lone-parent fathers.